70% of Motorcycle Accidents Occur Where?! Riding a motorcycle is fun to do in the summer time. The wind in your face, the feel of the open road, the freedom to go wherever you please, it doesn’t get much better than that. Everyone knows the inherent risks of riding a motorcycle, but the benefits often outweigh the risks. The thrill of the ride. Motorcycles are dangerous because of their vulnerability to crashing and high likelihood of severe injuries suffered by the rider if there is a crash. Motorcyclists are only protected by the protective clothes they wear like leather coats, jackets, vests, and pants – of course the helmet as well. Any time a rider is struck by a car, there is a high likelihood of hitting the pavement and even being run over by other cars. Motorcycles are often hit by cars because people in cars do not see them. However, when I think of not being able to see a motorcycle, I think of not seeing them on the freeway when someone merges and doesn’t see them. 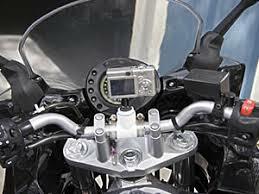 However, would you be surprised to hear that 70% of motorcycle accidents occur at intersections?! I was when I saw this. The reason behind this was that drivers were not likely to see the motorcycle when they were turning across the intersection into the motorcycle because they were looking for a car, much larger object. Along with this statistic, it would not be surprising then to know that nearly 2/3 of motorcycle accidents are the fault of the car driver and not the motorcycle rider. Not being able to see someone riding a motorcycle is not an excuse, as you would imagine. What can you do to prevent being hit by a car if you are on a motorcycle to avoid an accident? 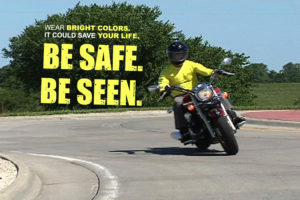 Wear bright colors – if a car cannot see you, they will pull out in front of you or merge into you. Bright colors on your helmet, bike, jacket, legs, etc. are not just for style but are for safety as well. Avoid driving in bling spots – driving a motorcycle is all about avoiding risks. Riding next to a car is a huge risk. Try to be up in front of a car or a ways behind it so you don’t get hit by it. Don’t drive near parked cars – if you see parked cars, assume someone is going to open their door and give yourself some space. If a car door opens in front of you, you are in trouble because it will knock you off your bike and you won’t have time to react in most cases. Drive defensively – When approaching intersections, drive slow so that people can see you and you have time to react or accelerate if need be. You should assume no one sees you and everyone is an obstacle that could take you down. Make sure you have an eye on the car that wants to turn at the intersection in front of you, they may not see you and start their turn. You need to be prepared to take evasive action and at a high speed, you are most likely going to drop your bike and hit the pavement. Driving slow gives you the option to speed up or go a different direction if need be to avoid a collision. Avoid driving at night and in inclimate weather – Night time and heavy rain or snow is not a good time to ride a bike. If it is already tough to see you in the day time, how much easier do you think it will be to see you at night or in a rain storm? Everything should be done to give you the best ability to be seen and be safe on the road. If you are injured in a Seattle motorcycle accident, call today for a free consultation. We are paid out of the settlement and not hourly so everyone can afford a Seattle personal injury lawyer but you cannot afford not to hire one.